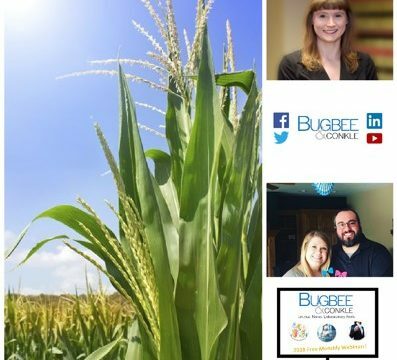 Bugbee & Conkle is beginning 2018 with a bang! We are thrilled to add attorney April Renner to our roster, expanding our workers’ compensation litigation team. We are also proud to announce we will be hosting free monthly webinars throughout 2018 on workers’ compensation, labor and employment law, and safety topics (except for in April, when we host our Annual Workers’ Compensation seminar). We are celebrating our company and attorneys reaching a milestone of over 1,000 social media followers and subscribers! Our YouTube channel, which showcases our webinars, seminars, and legal updates at no cost, has helped educate people in Ohio and across the country with over 7,000 views. Our Facebook videos have reached nearly 1,500 more people. And last, but not least, we congratulate our Controller, Joe Khristov, and his wife Chelsea, who will become first-time parents in April! In short, we are expanding our firm, our families, and our services and we are committed and prepared to help employers with all of their workers’ compensation, employment and safety legal needs.